Garden By The Bay “East” Garden is the perfect place to chill out with family, friends and hairy child aka your lovely pets. Most people are familiar with Garden By The Bay South where the supertrees and the flower domes are but how about Garden By The Bay East? Over here, you get to see the other side of the city. 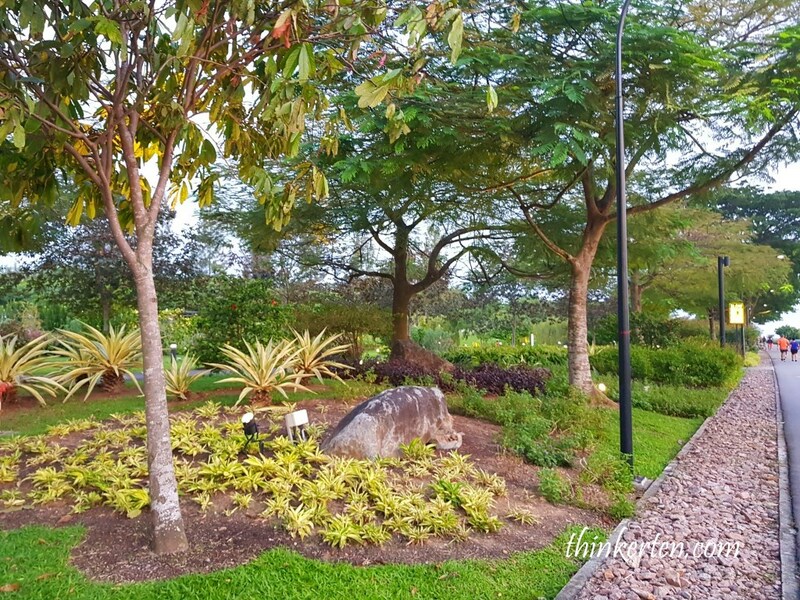 The picturesque garden is located slightly closer to Tanjong Rhu area. 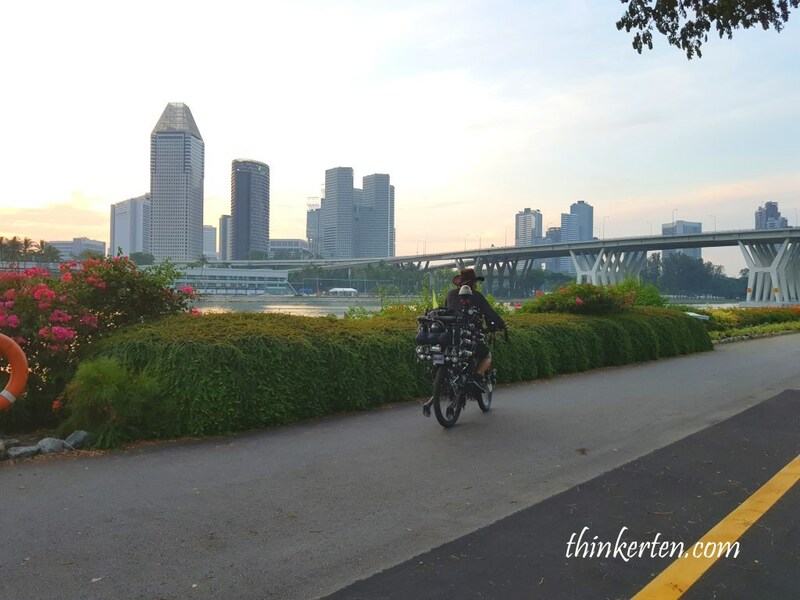 If you are cycling, you can cover these two places, Tanjong Rhu and Bay East Garden in an hour time. Compare to Garden By The Bay South, the East Garden is harder to locate, but with google map, everything became easier, especially if you drive. 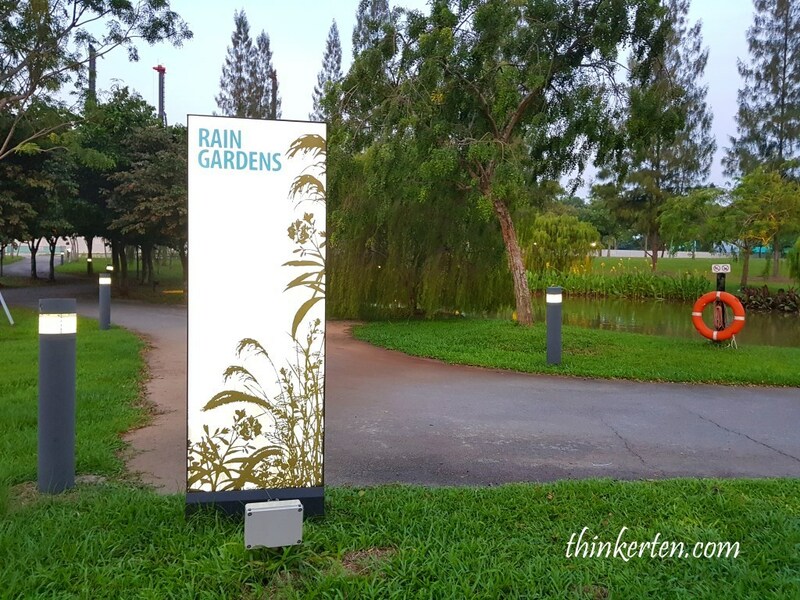 Entry to Bay East is via Tanjong Rhu Road by car or you can also reach the garden by walking or cycling across the 350 m long Marina Barrage at the other end of the garden. There is one wide path which is divided into pedestrian and cyclist , so it is very organised and safe. 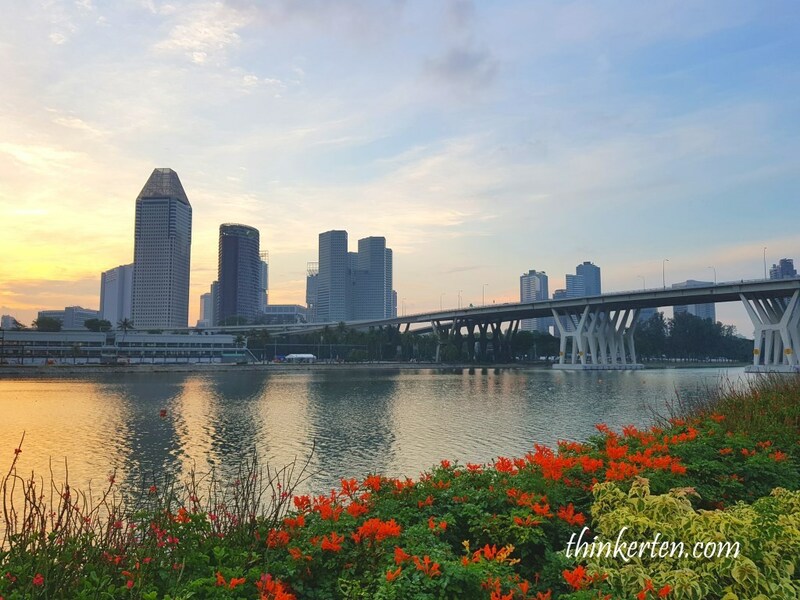 As you walk along the well-paved path in the garden, you can enjoy the serenity and tranquility together with the beautiful city skyline of Singapore. 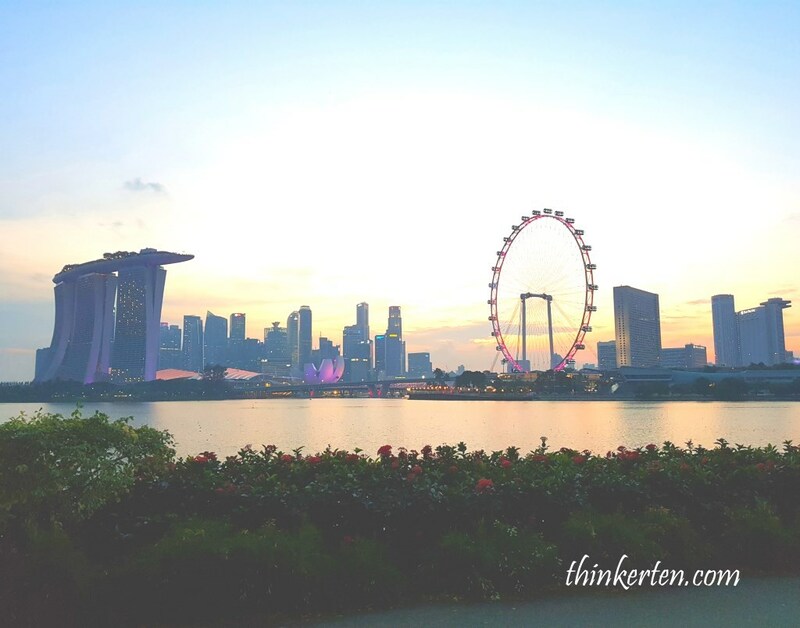 You will see the Marina Bay Sand Hotel, Singapore Flyer, Super Trees and the Garden Dome. Signboard everywhere to help you to navigate the park. 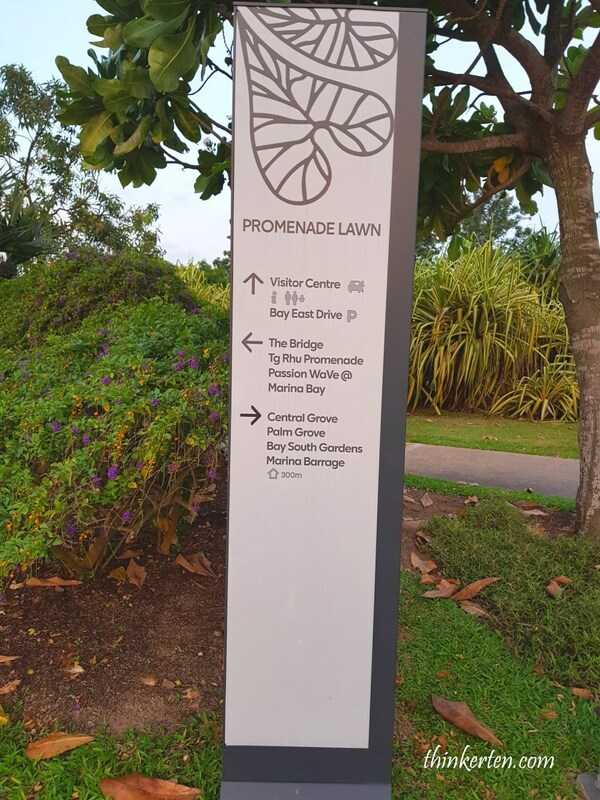 There is this place called Promenade Lawn where big events held here at the outdoor lawn, such as dragon boat racing events, canoeing, even outdoor movie screening. Not sure why Bay East Garden has so many millipedes, so beware and you may step on them. At the side of the path, you will notice a drain beside it which was filled with small rocks. This is actually natural drains that are an integral part of the natural landscape of the garden. They trap silt in the rainwater as it flows through them. Thus, maintain the natural aeasthetic of the garden throughout, while respecting the greater environment. Quite pretty and you can also walk on it but your feet may hurt a little. If you need a foot massage, why not try walking on top of these small rocks. Bay East Garden is based on the theme of water so you will find Rain Gardens. 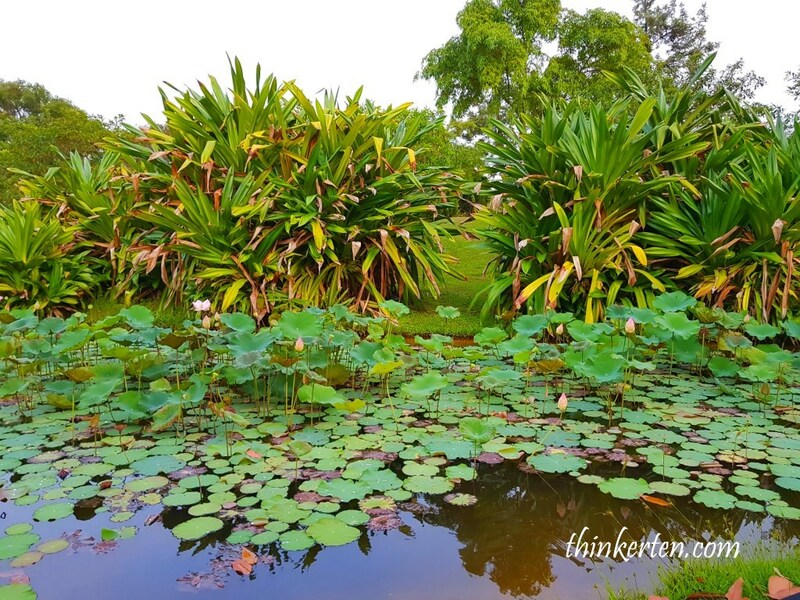 You will also spot few lily ponds in Bay East Garden. It is really therapeutic to have a evening stroll at the Bay East Garden as the setting is quiet and peaceful. Pathway in Bay East Garden is really wide and smooth so it is very suitable for wheelchair and strollers. Best time to come is always evening as it is cooling, do bring along mosquito repellent along! By Car/Taxi – Entry to Bay East is via Tanjong Rhu Road. 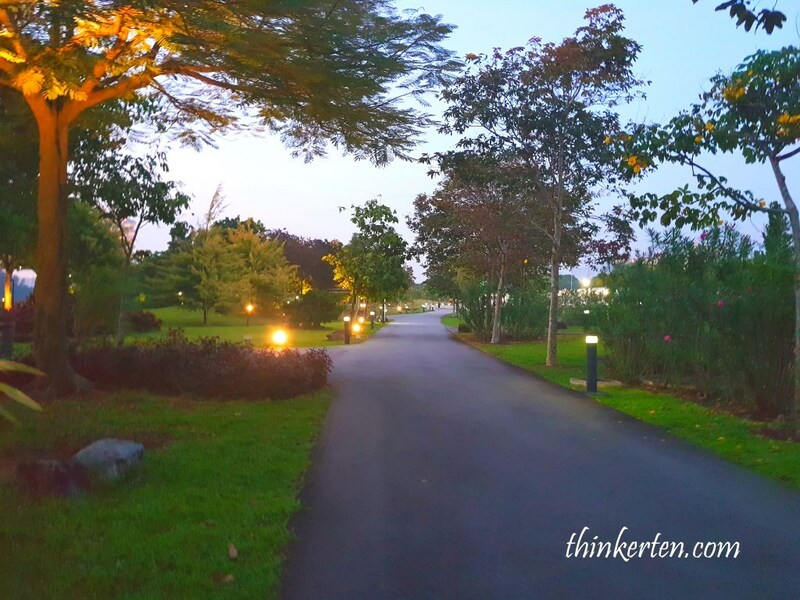 The entrance into the car park is on the right of Marina Bay Golf Course. 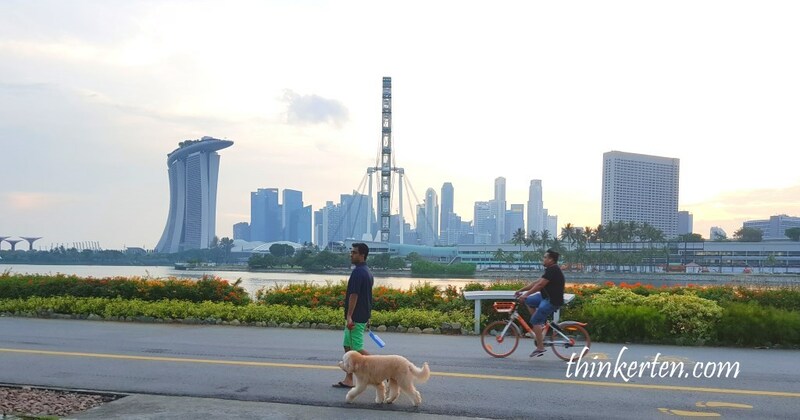 By foot – walk or cycling across the 350 m long Marina Barrage at the other end of the garden. 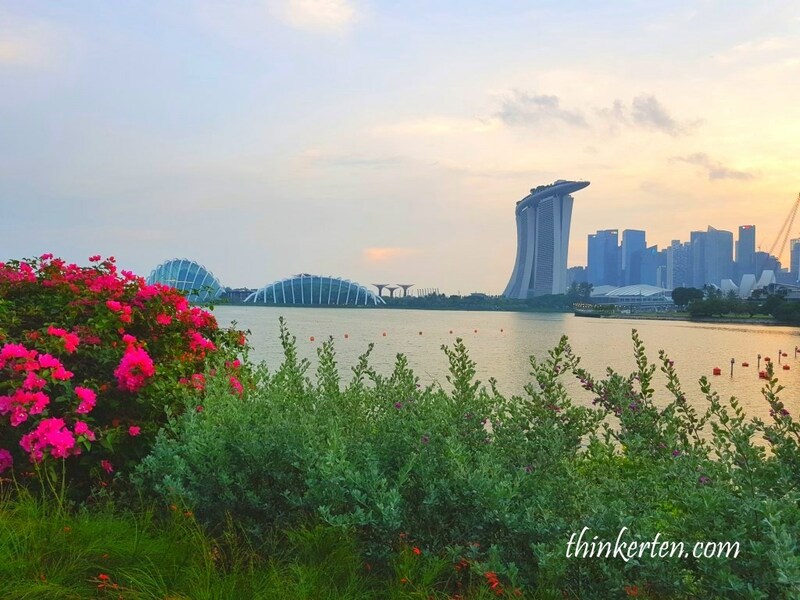 Garden By The Bay South – where the super trees and flower domes are. Marina Bay Sand Shoppe – 5 star shopping paradise. If you are going for the flower domes in Garden by the bay, click here to purchase tickets for Flower Domes and skywalk @ Garden By The Bay. This park looks very relaxing and full of adventure. Great for families. Such a gorgeous view! Looks like nicer weather than we are having here. Thanks for the helpful travel ideas. I keep reading all these lovely posts about Singapore and it makes me want to travel there so bad! I love your little tips about the park especially how smooth the paths are, my son would love to ride around on his little scooter. Looks absolutely gorgeous there! Amazing travel tips. Your post just took me back to Japan. They had a this beautiful park and it was so beautiful exploring that place in silence. Great post! It does look absolutely tranquil here. I love the views as well. What a beautiful place it is, looks and sounds so quiet and peaceful. I really love your dress, you look so cute. It is so great that you can cycle around the place within an hour. Thank you for the tips. This place looks perfect to have a tranquility break fnot far from the city! That skyline is breath-taking.. I also love the soft contrast of nature and manmade – it’s really a sight to lead one to deep observation and thinking. It looks like SO peaceful and serene. I would love to spend spring time there. Can’t wait to visit Singapore someday. I’ve never been to Singapore but I’ve heard lovely things about it and the places that you can visit there. I think this one’s a must see, it’s a great way to enjoy nature. The Garden By the Bay East Garden Park is absolutely breathtaking. I would LOVE to go there, read a book, and soak in the atmosphere. The Singapore Skyline is absolutely gorgeous. The Singapore skyline looks incredible. I could look at that view all day. What a gorgeous place to visit.